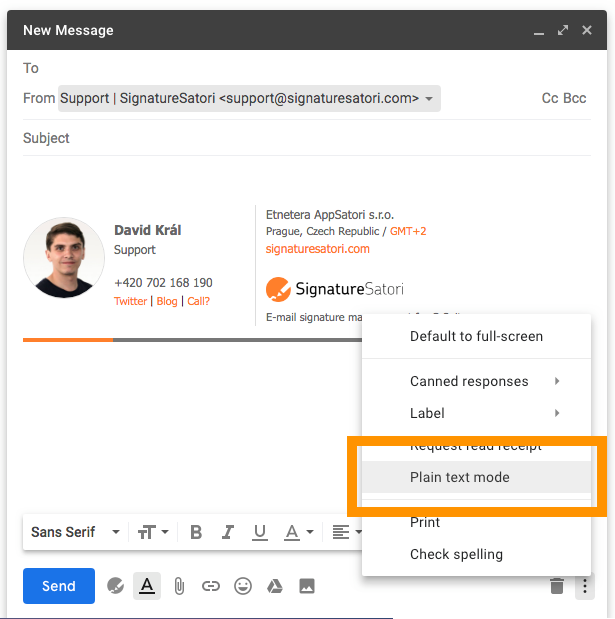 Please check if you don't have Plain text mode checked in your Gmail message settings. You messages now should be with formatting again. You may have black arrow instead of three dots if you use old Gmail user interface. Please click on this arrow and the same mode should appear.